It's been a while since i last posted here so i figured i should update. Anyone still tracking me, i joined ENTERGAME studios currently making a Gun Gale Online or Sword Art Online 2 based game called Bullet Blackout. Also, me and some friends decided to start a long-time project. I always thought what if Pokemon had multiplayer. And so we began discussing about it. In the end we decided to start a project based on Pokemon. 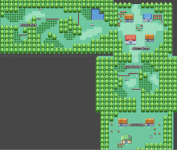 We plan implanting full multiplayer with quests (subject to change) ,connecting Johto and Hoenn together while we'll target to recreat all the areas (routes and towns) as close to original as possible and making it a MMORPG-styled game. Welcome to Nemesis! We are here to make some RPGs games for now. Until Nemesis awake! Hey azuna love your ideas a few questions tho. I would play my life away in this game! I remember a game like this one back in 2008 and I couldn't get enough of it!! So for the game, what pokemon do you plan on implementing? Some? Most? All? Argus is doing great now and I still don't fully understand why you quit but eather way I understand that the game was hardly updated before and you were like the only one posting updates but still. The game is being worked on now and I really liked your work. But I want to know this: if you could join back now would you? And why don't you join back. We now get updates every week and everything is going great. Models,Consept art, the seedengine, Nerve Gear are all being worked on. So would you still join if you could? Hmm, as far as i know Argus found a new UI developer.